Would you like fries with that burger? Or better yet would you like to build a managed services business the size of Mind Shift or All covered. How about just build a highly profitable business with minimal drama. Today we’re going to look at three things we can learn from McDonald’s to grow and scale our IT Service Provider business. I was watching the new movie The Founder; it’s the story of the McDonald’s brothers and Ray Kroc the milkshake machine salesmen that turned a burger shack in San Bernardino California into a 36,000 location mega business. McDonald’s success is attributed to a couple of guiding principles that we can take into our IT services business, and today I want to talk about a few ways you can improve by taking some lessons from the McDonald’s brothers. What does McDonald’s want out of your experience? They want to give it’s customers a similar dining experience anywhere in the world and maintain high standards of service and quality. To provide fast, accurate, and friendly service regardless of location or employee. 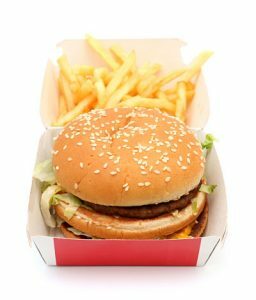 When you walk into a McDonald’s and order a quarter pounder, you can be pretty sure that it will be delivered to you in 30 seconds or so and that it will taste the same as the last one you had. 1 – Your client’s experience starts with the sales department. Make sure you are overseeing your sales team and that you are presenting your company in a constant manner. This includes your branding and quoting procedures. As an owner, you need to reel in your team and make sure your sales playbook is being followed. I have seen a rogue salesperson attempt to skirt our systems and sell in a manner that didn’t fit our corporate standards. This can be disastrous to your company’s reputation and cost you revenue or worse to lose a client. You need to set a goal to have a sales playbook that lays out exactly how your sales team should be interacting with your prospects and clients. A new member of your sales team should be able to get ramped up and know exactly how you expect them to interact as a representative of your company. Your Emails and Email Signature. Your entire team should obviously be using your corporate domain name but also a consistent email signature. The email signature is a great way to extend your branding and notify your prospects and customers of upcoming events or special announcements If you need help with your email signatures check out HubSpot free Email Signature creator. Your PSA – Whether or not you use Connectwise Manage, Autotask or Tigerpaw, use communication templates to communicate with your customer consistently. New Tickets, Order Confirmations, Service Surveys, Invoicing and Collections are all great places you can use standard communications. These stock messages help your clients know that you have acknowledged their request and that your company is working on it. Think about how many times you have thought a message has entered a black hole because you never received back any acknowledgment that your message was received. 2- Your service team has the same opportunity to provide a consistent level of service to your customers. They can use all of the methods we just talked about for sales, but also they have the added opportunity to use the phone to deliver consistent service. You should instruct your team to deliver phone service in a manner that fits your corporate standards. Answering the phone: have a constant message when your team members answer the phone and make everyone stick to it. When I overhear members of my service team answering the phone in a haphazard way it goes right through me. Asking if this is a new or existing issue. While this is great for a consistent message, it is also great for keeping your ticket count down and providing a better service level. Ask if this is a new or existing issue and then instruct your team to look for similar solutions regardless of the answer given by the customer. Ending the call – On this one, my team takes a pointer for a McDonald’s competitor, Chick Filet. One of my many pet peeves is the phrase “No Problem” when I hear that from any service worker it makes my blood boil. Chick-Fil-a’s founder heard the phrase “My Pleasure” when checking into a Ritz Carlton hotel. He decided to incorporate it into his fast food establishment, treating each customer as if they were making a luxury purchase. In Michael Hess’s blog post The 6 Best Words in Customer Service he outlines the huge difference in “Let me see what I can do” and “I’d be delighted to help you”. Customer like to hear the word “I” instead of “we”, they want to know that you, a real human, is working on their problem. Things like “I can solve your problem” or “I do know, but I will find out” ensure the customer that you are working on their issue. Also, never forget to say you’re sorry or thank your clients for their business. Sometimes we become a lot like the electric bill and clients look at our bill and think of ways to cut costs. We need to continually remind our clients of our value and thank them for our business and apologize when we don’t do our best. So speedy and consistent food delivery was one of the hallmarks of McDonald’s success but it wasn’t the only one. Upselling and Cross-selling were also a big part in their success. Cross-selling is selling additional products that benefit the buyer, using suggestion, incentives or product placement. Referring to McDonald’s again, ‘Would you like fries with that?’ is cross- selling, as it’s an incentive to buy an additional product. So how does it apply to our IT business? We are presented with many opportunities every day for both up-selling and cross-selling. Let’s talk about some that we encounter every day. Up-selling – One of most common up-selling opportunities I see every day is with everyday desktop and laptops sales. I heard MSP’s complain about the lack of profit in desktop and laptop sales on a regular basis. I’m here to tell you you’re doing it wrong! Desktop and Laptops are great opportunities for up-selling. If you are quoting a minimal desktop to your client then add an option on your quote for extra memory. If you are quoting a 21” monitor, add an option for a 23” one. If you start thinking like this, you can add extra margin and increase revenues to every sale. Cross-Selling – this is where I see many MSP’s leaving a lot of money on the table. With every hardware and some software sales, you can present your prospect or client with some additional products in the way of cross selling. If you’ve ever purchased from the Apple store or the online printer Vistaprint, you have seen examples of cross-selling. When you purchase a new Macbook from Apple, you get prompted for a variety of products for up-selling and cross-selling. Processors, memory, and graphics are all up-selling questions and then Software, and Apple Care maintenance contract are examples of cross-selling. You should be taking advantage of these methods with every quote you create. I see most IT service providers leaving out lucrative recurring service contracts and simple leasing options on many quotes. This is just leaving money on the table. With both Quosal (Connectwise Sell) or Quotewerks adding this up-sell and cross-sell opportunities are simple mouse clicks. Be sure to start offering service contracts; you won’t sell them on everything but on some gear or where it is tied to software upgrades they are almost always an easy sell. Make sure your installed base team documents the agreement and works to renew them before the expiration of the term. You don’t want to be a whore when quoting to your customer base but if a customer buys the product but doesn’t know how to use it, or cannot keep up with the changes in the software, they will never extract the full value from what they bought. A good salesperson knows that suggesting the right additions to a customer’s order will enhance their experience of the product. And by enhancing their experience of the product upselling and cross-selling boost loyalty and thus overall revenue. You want clients that are consistently purchasing products and services from your company over a long time. If we are talking about McDonald’s and what we can learn from them we need to talk about process. Not only was this key to their success but it is key to any flat fee IT service provider. To scale your managed service business, you need to be constantly refining and improving your process. McDonald’s serves over 75 burgers every second of every day; they could never achieve this without iron clad processes. In the movie, the founder, the McDonald brothers said that in their previous businesses they realized that they had a lot of products that had very little sales and that the bulk of their revenue and provides came from a small percentage of their products. The set out to build their new hamburger stand to maximize the sales of the most profitable items and they dropped everything else. Before the built their new hamburger stand they laid out their whole “speedy system” on a tennis court with chalk. They refined the location of every piece of equipment until the process of making burgers and fries was a finely tuned orchestra of movements will minimal loss. Two things we can learn from this, the first is you need to truly know where your revenue and profit is coming from and maximize your business around those items. It’s easy to get caught up with the new shiny tool or service that you can resell but sometimes taking your eye off the ball can have disastrous results to your business. Be especially careful when messing with tools or services that are customer facing. To give you an example it is one thing to change your PSA but quite another thing to change your anti-virus or remote login tool that you extend to your end users. It’s ok to look to expand your offerings but you need to start small and prototype changes in the offering. This is the second thing we can learn from the McDonald’s brothers. Plan and Prototype before building your offering. Talk to your team and your clients and see if your proposed change is going to make a positive impact on your base and your bottom line. So to recap, if you want to grow your IT service business and scale it you need to think like the McDonald’s brothers. Provide consistent good service without any hassle, make it easy for your clients to call, email, buy and consume your services. Remember to capitalize on your customer base by upselling and cross-selling products and services that they need and will improve their business. And lastly, put processes in place to continually evaluate your processes and improve them for fast food like service delivery.